Cape Verde Islands 1894 5r Pale orange. SG37. Heavy mounted mint 1894 5r Pale orange. SG37. 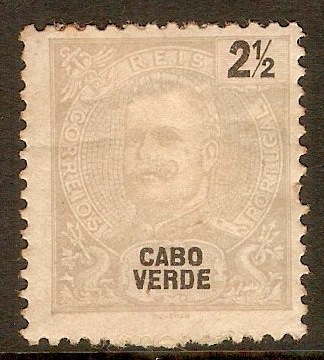 Cape Verde Islands 1898 2½r Pale grey. SG60. Heavy mounted mint 1898 2½r Pale grey. SG60. 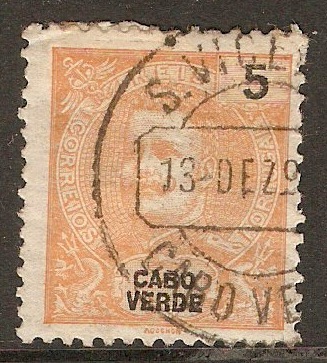 Cape Verde Islands 1898 5r Orange-yellow. SG61. Fine used 1898 5r Orange-yellow. SG61. 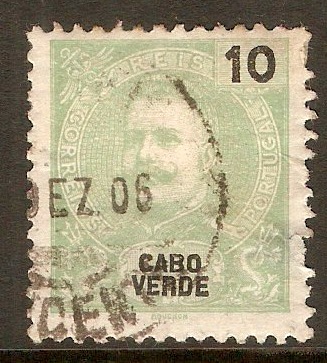 Cape Verde Islands 1898 10r Green. SG62. Fine used 1898 10r Green. SG62. Cape Verde Islands 1898 100r Blue on blue. SG69. Mounted mint 1898 100r Blue on blue. SG69. 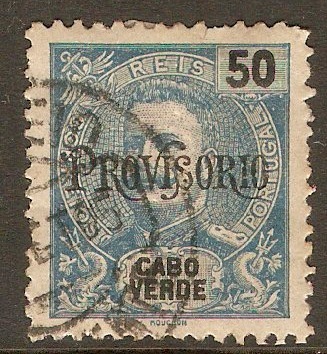 Cape Verde Islands 1902 50r Blue. SG109. Fine used 1902 50r Blue. SG109. 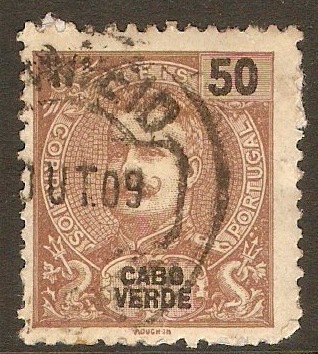 Cape Verde Islands 1903 50r Brown. SG113. Fine used 1903 50r Brown. SG113. 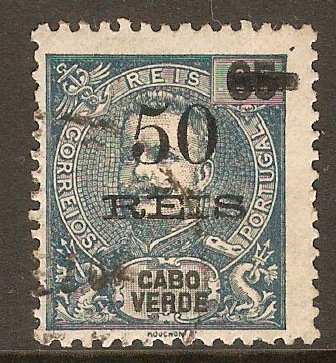 Cape Verde Islands 1905 50r on 65r Dull blue. SG119. Used 1905 50r on 65r Dull blue. SG119. 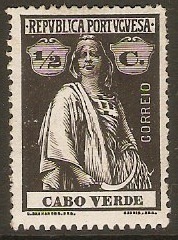 Cape Verde Islands 1920 ½c Black. SG210. Mounted mint 1920 ½c Black. SG210. 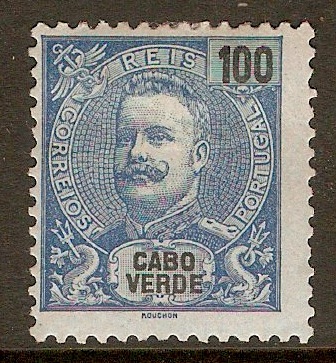 Cape Verde Islands 1920 1c Deep blue-green. SG211. 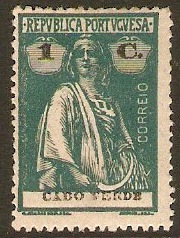 Heavy mounted mint 1920 1c Deep blue-green. SG211.